The Prehistoric Giant Woolly Mammoth Elephant was 9ft. 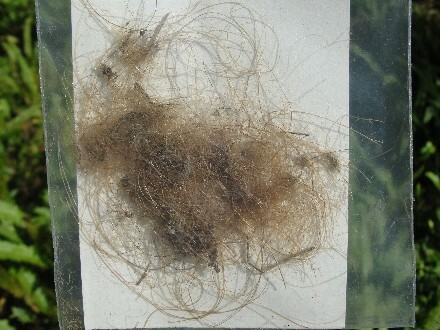 (2.75M) tall, and had long shaggy hair in two layers. It had thick fur and long guard hairs, similar to that of musk oxen. It was also called the “Tundra Mammoth”. This prehistoric elephant lived between 1.8 Million Years ago and went extinct about 11 Thousand years ago. It had a hump of fat behind its dome shaped head, giving it a sloping back appearance. Prehistoric cave paintings, in Spain and France, show what these extinct animals looked like. These ancient mammals ranged in North America, Europe and Asia. This Ice Age Elephant ate grass, mosses, ferns and shrubs and used its huge curved tusks –up to 16ft. (5M) long- to scrape away snow to get to vegetation. 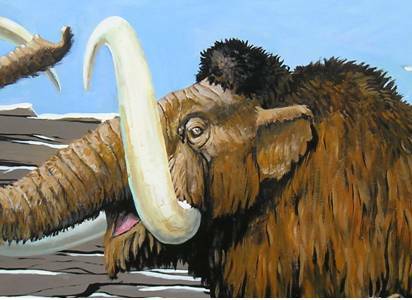 This extinct Mammoth had tiny ears and a very short tail, due to the cold climate. They were thought to be related closest to the Indian Elephant. Several frozen remains have been found with soft tissues intact in the northern parts of Siberia.